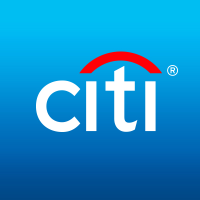 Citibank N.A. via Citibank N.A. collaborative relationship with the partner, and jointly working on shared business objectives toward mutual benefits. ResponsibilitiesEvaluate/enhance product core value proposition to remain competitive yet maximize profitability.Translate cards business acumen and product insights into customer programs that result in desired behavioural shifts and incremental card spend. Collaborate with Sales channels by communicating value and unique selling point of the card products; provide training and develop sales tools to facilitate the selling process of cobrand card. Establish and maintain frequency of contact with key personnel within each partnership, including business meetings and casual engagements. Work with Regional and Country counterparts to leverage digital/data analytics capabilities to better understand, manage and enhance performance of the portfolio.Identify growth opportunities to connect with customers in a forward compatible manner, engaging them through channel(s) they are transacting/constantly active in while maintaining the bank’s human touch and accessibility.Review, develop, manage all communication channels, materials and collaterals which includes management of inventory for card plastics, welcome packs, card member agreements, statement messages, product page etc.Plan, execute and manage through-the-line marketing initiatives end-to-end.Execute changes in CVP upon refresh (customer communications, platform training, etc.) or administer adhoc parameter enhancements when required with controls in place.Prepare monthly/quarterly business reviews and ensure audit readiness at all timesQualificationsQualifications and Skill-set RequirementsSound knowledge and understanding of Cards and unsecured lending landscape. A good grasp of portfolio management fundamentals and product/system functionality will be a plus.Min 6 years of experience in Financial Service, Business Development or similar role in related industry.Strategic business/financial acumen with ability to identify opportunities and improve performance .Analytical skills to interpret business reports, identify gaps or opportunities and develop appropriate actions for product enhancement/portfolio growth.Experience in business development & customer issue resolution with excellent presentation & communication (verbal and written) skills.Demonstrate ability to negotiate & influence change/progress and collaborate well with stakeholders.Strong partnership and relationship management skills, with proven ability to overcome challenges and meet business objectives to achieve win-win outcomes. Self-driven & highly motivated team player who can multi-task & deliver results under pressure. monthly portfolio meetingClose partnership with Collections to monitor delinquent accounts and maintain portfolio delinquency within thresholdsClose partnership with Recovery Unit to recover as much as possible from written off accountsPerform MIS and analytics for portfolio review and ensure credit risk policies, procedures and processes are effectively and efficiently managedInvolve in annual budget and monthly forecast of Cost of Credit (i.e. Net Credit Loss & Recoveries)Ensure an independent early warning process business monitoring oversight and escalation functionReview of Local Operating ProceduresQualificationsRequired:Education: Bachelor's DegreeExperience:At least 4 to 5 years of experience in Small Medium Enterprise industry (strong back ground on collection strategy is preferable)Skills and CompetenciesMS Excel proficiency is a must but the function does not require advanced macro/VBA or any other programming skillsProficiency in MS Word and PowerPointDetail oriented, able to work independently by prioritizing workload and projects to meet hard deadlinesEager to learn and growExcellent written and verbal communication skills - able to communicate concisely and clearlyStrong Interpersonal skills, able to work in a team environment Energetic, responsive team player willing to take initiative and work in a fast-paced environmentDedicated and focuses, able to prioritize and complete multiple tasks and follow through to achieve project goals.Fast leaner and good attitudes.